Joe Butterworth sent in this pic of his 2 7/8" chambered Joseph Lang 10-bore double. These beautiful bore rifles have a special place in the world. 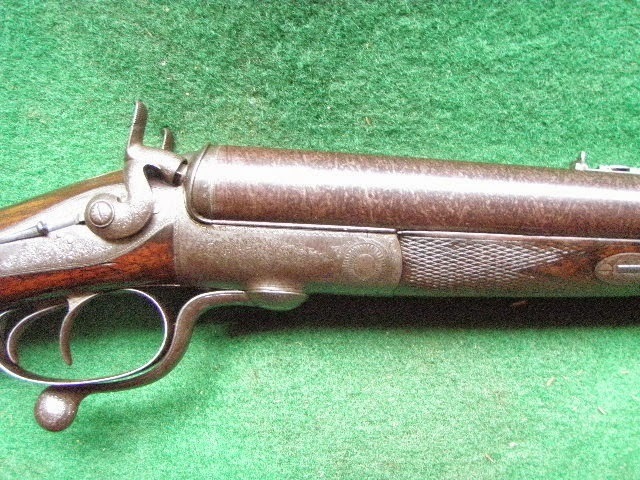 Note the engraving and fine Damascus pattern on the barrels. I understand she shoot well with GOEX black at 5 or 6 drams.